Color your world with Pastel, the compression socks for the office from Mojo Compression! Mojo Pastel socks offer a soft-hued, firm, graduated compression (20-30mmHg) that provides therapeutic compression to help restore leg health and reduce leg discomfort. Mojo Pastel socks are a great choice for the office with fine ribbing for a fashionable textured look while being clinically proven and physician recommended to relieve swollen legs and symptoms of varicose veins. These socks have a comfortable 2 inch top band to keep them in place all day - even through that 4:30 meeting that just showed up on your calendar! Best of all they are designed, engineered and manufactured in the USA! Mojo Pastel delivers physician-prescribed elastic compression therapy guaranteed. 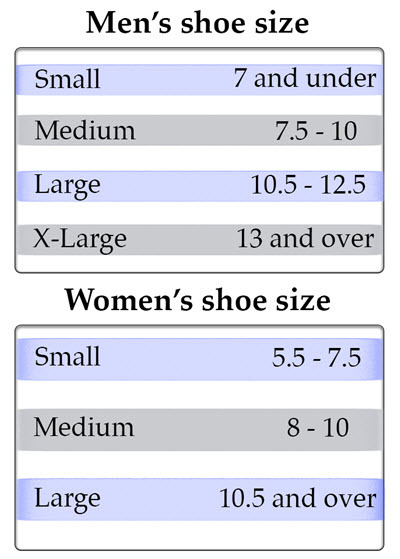 Just like the big name "brands", we take 4-6 compression measurements at precise intervals between the ankle and end of garment. Multiple measurements guarantee our garments are comfortable and deliver an accurate distribution of the pressure gradient. I really love the pair I bought and plan on buying a few more pair. I love that they are longer than other brands too. You just can not beat them at all. I like the mojo sock brand. I have bought other compression socks and have been happy but these socks I was not happy with. The compression is not what is advertised, particularly around the ankles. These are a very nice material, colors and texture. Even though they are the same 20-30 compression rating as your A602 socks that I have been wearing for almost a year now, for lower leg/foot edema, the toe box is not snug and it does not control my foot swelling as much. I bought these stockings, hesitantly, not thinking I really needed them. My only regret is that I didn't buy more!! They offer great support and since I'm on my feet at work all day, my legs and feet feel so much better after a long shift! I actually loaned a pair to my daughter who is 9 months pregnant and complained of swollen and tire legs. The swelling resolved in 2 days and she feels so much better. She will be wearing them until the baby is born!! This style is especially easy to get on & off. Pattern & colors are interesting. The grey ones seem to run a tad larger & fit better. To be fair, I have wide calves causing them to slide down my leg. They do not fit as well for me as other unisex styles. I love these socks. They are definitely my favorite compression that I now own. I wear these to work and I wear them on weekends. My only desire would be to have more colors available, dark and bright. I like these support stockings for cold weather. The pale lilac color is attractive, and the material is a nice heavy weight with texture. Because I am short (5' 1") and petite, they are a bit long and come up a little too high at the bend of my knees. I think they would be great for someone a bit taller. I knew that when I ordered them, as they are Unisex, and someone as small as I am really needs Women's size Short. But they have good compression, are supportive, and I will wear them a lot in winter. They look like they will last a good long time, too. Great stockings and good looking too! These compression stockings go a great job for what they are intended - prevention of feet/leg swelling. They feel very soft to touch. They stay up, do not wrinkle at all. Another feature I love about these stockings is that they don't have little knots on the toe line. Some others do, and it makes wearing them very painful, when these knots dig into your big toe and a pinky toe. The colors are I got look pretty (baby blue and pink), you'd never tell these are therapeutic stockings. These are very comfortable on the feet and can be worn with flats. These are great for everyday and provide top of foot (muscle sprain) support, ankle (arthritis) support and provide support to the shin and calf you you need that as well.